Home / Stock Items / Team Numbers / Sets of Team Numbers. Numbers are made from Flock material. The pink is PVC material, see FAQ for explanation of material types. This item is for a set of numbers, choose from numbers 1 to 8 up to 1 to 15. 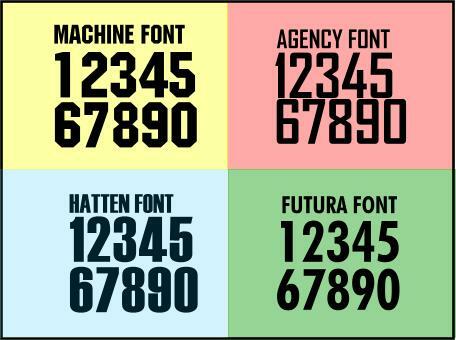 If you need more numbers use the design form. Example of the fonts and colours shown.